The Sale Schedule at Greencastle Livestock Auction is listed below. Contact us if you have questions or need additional information. The table with ID 2 not exists. The table with ID 3 not exists. NOTE: Receiving Livestock all day. 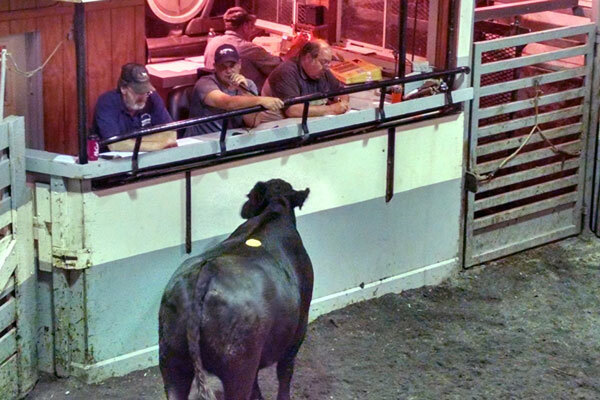 Slaughter Cattle Sale (Left to Right): Kenny Reed, Wesley Ware auctioneer, Jeff Craig clerking and Sonny Tritt weighing cattle. Copyright © 2019 Greencastle Livestock Market, Inc. | Site by Projects by Peggy, Inc.